Hard work and commitment in your profession has made it possible for you to qualify for exclusive benefits reserved for the Sage Accountants Forum members. Our products are designed by accountants for accountants. We understand your needs and continuously invest in research and development to ensure that we deliver on customer needs and exceed your expectations. Membership to the Sage Accountants Forum is exclusively for registered accounting professionals. The Forum is designed to provide you, the accounting professional, with the essential means for providing a total service to your clients. 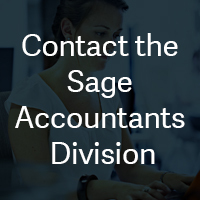 Become an Accountant’s Forum member and discover how Sage can benefit your practice. 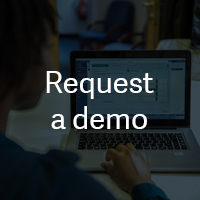 Find out which Sage Software solution is best suited to your practice. 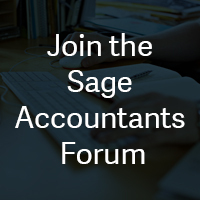 Do you have more questions about the Sage Accountants Forum? © 2017, The Sage Group plc or its licensors. Sage, Sage logos, and Sage product and service names mentioned herein are the trademarks of The Sage Group plc or its licensors. All other trademarks are the property of their respective owners.